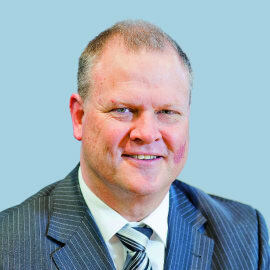 Mr Young was appointed Chief Executive Officer of Adelaide Airport in November 2011 and prior to that was the Chief Financial Officer for a period of 10 years. Mr Young previously enjoyed 20 years with diversified contract mining, civil engineering and building construction group, Macmahon Holdings, including as Finance Director. He has a Bachelor of Economics (Accounting) at the University of Adelaide and is a Fellow of the Australian Society of Certified Practicing Accountants and a Fellow of the Australian Institute of Company Directors. Mr Young also has completed an Advanced Management Program at the Harvard Business School in the US.